Flights into Lyon must arrive by 3:30 pm. Join a Cooking Demonstration and learn how to prepare Lyonnaise specialties while sailing to Viviers. Cruise back to Arles to prepare for tomorrow’s exciting activities. For a different perspective on the town, join us on a nighttime Guided Tour of Viviers discovering the legends, tales and ghost stories of this enchanting town. 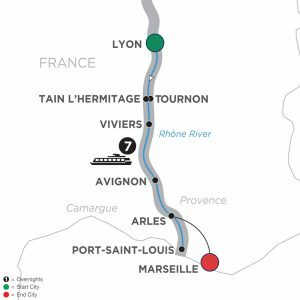 Join a Cooking Demonstration and learn how to prepare Lyonnaise specialties while sailing to Lyon. Join a Guided Tour for an evening drive of Lyon, lined with incredible landscapes from Fourvière Hill for a city bird’s eye view, to Presqu’île district, for catching the heart of Lyon and its ever-changing river bank view. In addition to classic sightseeing and relaxed free time, you can visit an oyster farm, bike through Camargue Regional Nature Park to spot flamingos, or take a painting workshop in Arles—in the style of Van Gogh. You’ll have the classic sightseeing and relaxing activities in each destination, along with your choice of included arts, culture, and cuisine excursions. 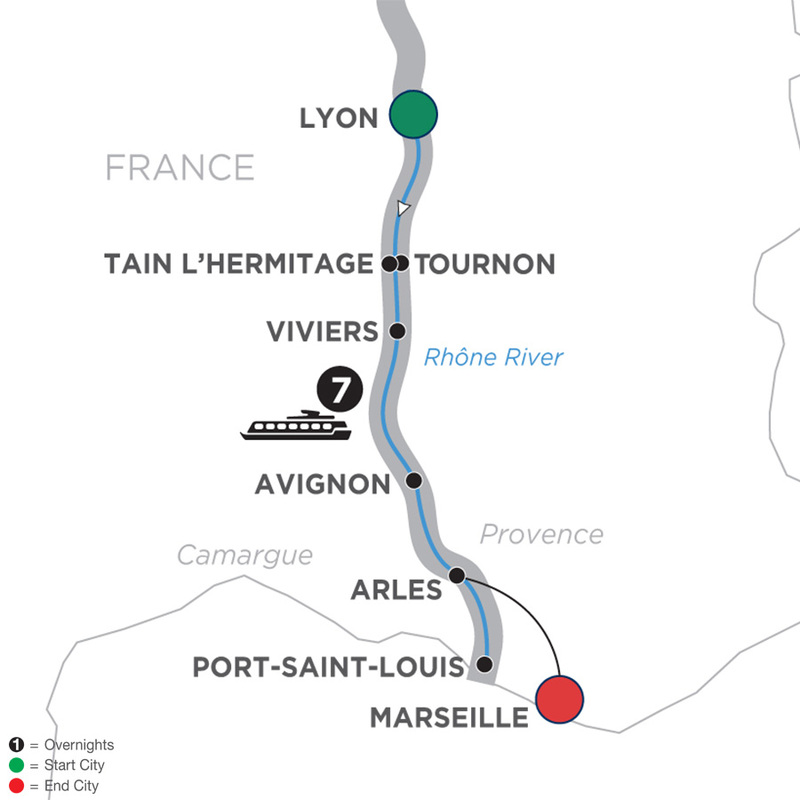 Our Active Discovery Rhône River cruise with Avalon Choice includes activities and excursions to experience the Rhône River at your pace in every place along the way. It’s a vacation in France made just for you.